When My Chemical Romance frontman Gerard Way first announced back in 2016 that he was partnering with DC Comics to launch "pop-up imprint" Young Animal, he described it as a place where bold, innovative comics for "dangerous humans" would have the creative space to flourish. Though Young Animal's creation produced some of the most fascinating, mind-bending titles that DC's put out in years - such as Shade, The Changing Girl and the Milk Wars event - the imprint and most of its titles are winding down later this winter. One of the greatest things about comic books is that they can (and often do) tell stories about updated versions of classic teams we're all familiar with, and at a much more rapid pace than you'd see in television or movies. As a result, comic teams change rosters almost as quickly as individual team members change costumes, something this week's very best new comics understand and take advantage of in the very best ways. 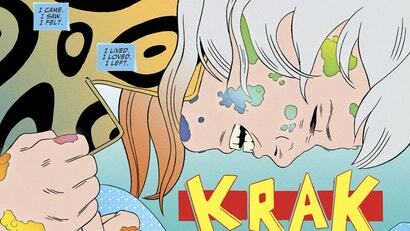 Last year, DC launched Young Animal, the Gerard Way-fronted imprint that has become home to some of the publisher's most bizarre and fresh titles, including Doom Patrol and Shade the Changing Girl. 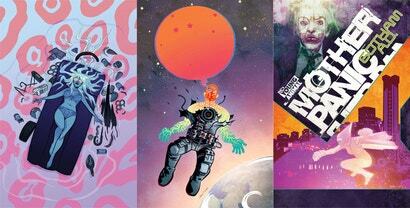 But next year, Young Animal is going through a rebirth - not that one - and getting an interstellar upgrade.